It’s more fun to adopt young cats in pairs! 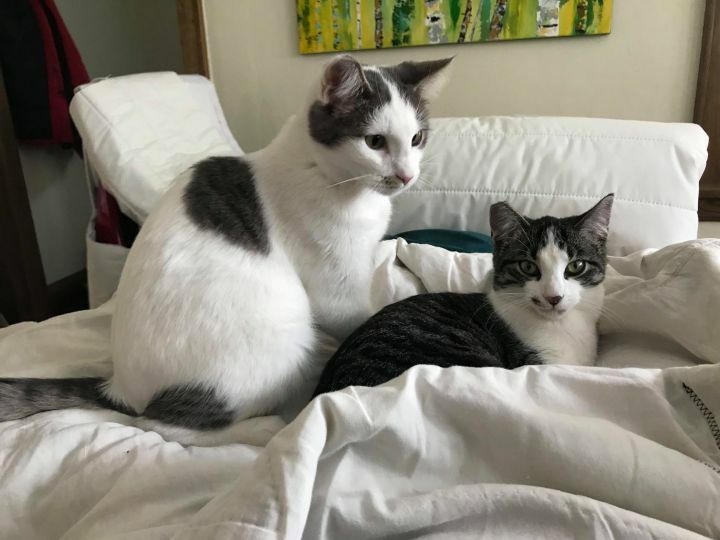 Foster siblings Barker and Bean get along great together and would love to be adopted together. They also get along great with other cats. Barker is the more friendly and outgoing of the pair. He has unique tabby markings, which include a moustache and a pair of angel wings! Bean, the one with the brown markings, is a little more shy but she’s very sweet. Barker and Bean are fostered at Woody’s Pet Food Deli in Minneapolis so you can meet them there. For adoption information contact Molly at 651-295-3758 or mollysgardens@gmail.com.